Today, we are announcing the winners of the A Year in Review 2018 Blog Hop + Giveaway! First of all, we would like to express our heartfelt gratitude to everyone who hopped along with us! It was such a delight reading your heartwarming comments and messages. Don’t forget to check the Altenew Card Blog because we’ve also announced MORE winners over there! 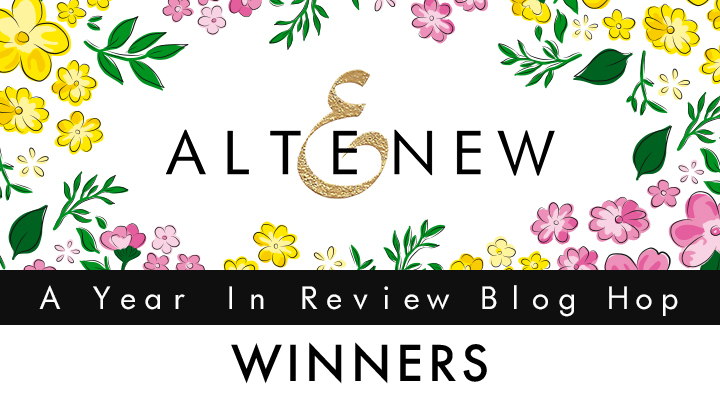 Please email us at winner@altenew.com with the subject line “A Year in Review 2018 Blog Hop Giveaway Winner“ by 02/06/19 so we can set you up with your prizes. If you missed out on our A Year in Review 2018 Blog Hop + Giveaway, you can still hop along! Our design team and guest designers have tons of design inspiration on their blogs.